Gone are the days when desktop traffic is viewed as the priority. Mobile browsing has long surpassed desktop browsing years ago and Google is on the move to making adjustments in how sites are ranked. Lo and behold, 2018 is the year that Google is making it official by launching a mobile-first index algorithm, ultimately making mobile sites and pages as the main basis for indexing and ranking. So what does this all mean? Simply put, the mobile version of your site should be your main priority because it’s what Google will use to assess your ranking in search engines. Sounds scary? A bit. But is it a surprising move on Google’s part? Not at the very least. This has long been an expected update from Google. The tables have finally turned and mobile sites aren’t just an afterthought anymore; it’s become the priority. With all that said, it’s pretty easy to determine your proper course of action, which is to focus on improving (or creating, if you don’t have one yet!) the mobile version of your site. We’re listing down important steps in preparing your site for Google’s Mobile-First Index. The first step? Don’t panic and just read on. More than being mobile-friendly, your site has to be mobile-optimised. There’s actually a difference between the two. Saying that your site is mobile-friendly means that you have a working mobile version of the site, meaning you can simply view your site using a mobile device. However, saying that it is optimised for mobile means that it offers a seamless user experience and has a truly responsive mobile design. Having a mobile-optimised site doesn’t just mean that you have a shrunken or slightly rearranged version of your site. It means that your users would be able to navigate your site with the same ease (or more!) as they do with the desktop version. Good news is a lot of website platforms provide an automatic mobile version of the site. However, it would still be best to make sure that it’s the best possible design for mobile and not just a slightly adjusted version. This is why a lot of developers opt to build it from scratch to ensure that they hit the mark in mobile-responsiveness. To check if your mobile site is up to par, you can use Google’s Mobile-Friendly Test as a starting point. They’ll either say that your site is mobile-friendly or come up with a report that would highlight the main points for improvement and repair. It’s not enough to simply adjust the design. You may also have to look at how you craft your content and see if it works as effectively for mobile viewing as well. Content remains king and one way of how marketers deal with this is by coming up with at least a thousand, or even three, words and complete with supporting images and graphics. The thing is, these highly informative and wordy content may seem fine to look at on a desktop screen but doesn’t translate as smoothly to a mobile screen. One remedy to this issue is to slightly adjust how you write. It doesn’t mean that you have to shorten your posts. Perhaps you can cut them up into shorter paragraphs and sentences, as opposed to piling it all up in lengthy chunks. Google’s mobile-first index shouldn’t push you into a corner and restrict you from coming up with quality content. Remember that quality content remains a strong ranking factor above everything else. What this algorithm update should do is to push you into paying more attention on how your desktop site and pages translate to mobile. This applies not just to text content, but also to images, graphics, videos, and other content formats. Site speed: Did you know that Google has stated that 53% of mobile users would leave a site if it takes more than three seconds to load? This makes site speed an even more important factor for mobile browsing. To check on how your mobile site is faring, you can go ahead and do so using Google’s PageSpeed Insights. It’ll give you a clear idea if your site is on the safe zone or if it requires major speed improvement. Intrusive interstitials: Interstitials are what you call those pesky pop-ups that come up when you visit a site. It’s described as “a page that is inserted in the normal flow of editorial content structure on a website for the purpose of advertising or promotion.” Google has cited that there’s an existing intrusive interstitial penalty–and trust us when we say that’s something you don’t want to receive. You may want to reconsider adding interstitials or perhaps adjusting its size or frequency. Sources of mobile site traffic: Remember that with the launch of the mobile-first index, where your mobile site traffic comes from would matter even more since it would also affect your desktop site ranking. Apart from using social media to drive click-throughs and traffic to your mobile site, you can also consider using guest posts, videos, podcasts, email newsletters, influencer marketing, PPC, Quora, and so on. Link building: Backlinks still matter. And it also matters if these are quality or spammy backlinks. Apart from consistently checking to see who links back to your site, it would also help to monitor who links back to your competitors and use that information to create your own linking strategy as well. Of course, also make sure to get rid of bad links to avoid getting penalized by Google. Schema markup: Having a schema markup is your way of helping Google understand what the content of your site/page means. A schema markup is described as a “code [semantic vocabulary] that you put on your website to help search engines return more informative results for users.” This is something that should be added to the backend of your site to ensure that Google recognizes what your data means, not just what it says. As we’ve already said, there’s no reason to panic because you still have time. But that time is getting shorter with each day and if you still haven’t gotten around to at least having a mobile-friendly version of your site, then it’s high time that you make the move. Should you have a mobile-friendly version, then kudos to you! But the job’s not done yet. Your goal is to truly optimise it for mobile browsing by paying attention to several factors that affect user experience. 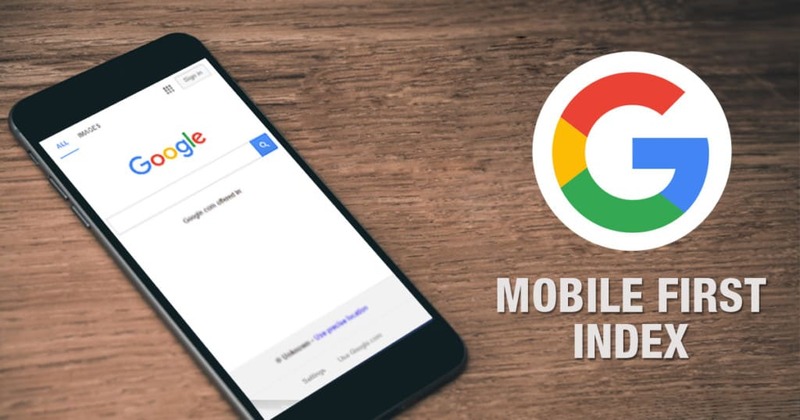 Make the most out of the time we’re all waiting for Google to finally launch the Mobile-First Index to focus on making several adjustments and improvements on your mobile site. Simply put, prioritize your mobile site starting now and by the time Google announces its launch, your site is up and ready to rule the search engine rankings on both mobile and desktop.